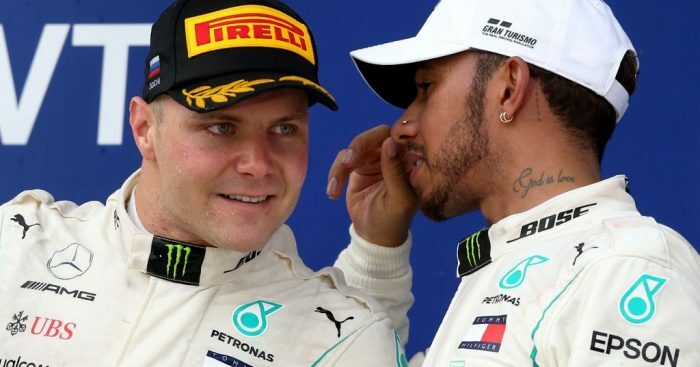 Despite having won the championship, Lewis Hamilton says he won’t be called on to return the favour Valtteri Bottas paid him back in Russia by handing his team-mate a race win. Mercedes courted controversy when they handed Bottas’ Russian Grand Prix win over to Hamilton. That earned the British racer eight more points on the day, helping him win this year’s World title with two races to spare. But even though the championship is done and dusted, Hamilton won’t be returning the favour in Brazil or Abu Dhabi. “The team are not going to make that call,” he said. “It’s not something I’ve asked Valtteri if he wants, but I don’t think he’s going to want that. He’s going to want to win it in his own way. “So I don’t think I’ll be doing him any favours in the sense of giving him a win, I don’t think he needs that. I think he thinks he can do it himself. For his part, Bottas doesn’t want to win a race through team orders. He does, however, concede that with the title race over, it is “good” to know that he is free to race for the victory at Interlagos this weekend.